It’s happening, thanks to you. When we started on this journey, we wanted be part of changing the narrative around social skills development and autism. 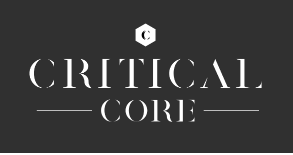 Critical Core is designed to be inclusive, respectful, and a celebration of diversity in whichever form it may take. When we celebrate the differences in everyone, no-one is excluded. We are completely overwhelmed and humbled by your support in sharing this vision and making this project a reality. Because today is world autism awareness day, it is the perfect opportunity to share some of our key thoughts in the hopes that they will resonate with you, and that you might help to spread the positive message of inclusivity and neuro-diversity. At Critical Core, we prefer to show rather than tell, but today is a day to state our beliefs in no uncertain terms. Individuals on the spectrum have incredible capacities, and just because some individuals deal with social situations differently than many neuro-typical people does not make them in any way deficient. We strive to celebrate and understand differences, and presume competence. The autism constellation varies so much from person to person that researchers talk about ‘the autisms’ rather than one autism. Just because an individual has a diagnosis of autism does not mean we should make assumptions based on other autistic individuals we may have already known or on representations of autism in media. Everyone is unique and should be treated as individuals. Forcing what the neuro-majority considers ‘normal’ on persons with brains that work differently can often be disrespectful and even harmful. We believe that therapeutic support should, at its heart, build sense-of-self, self-esteem, and self-efficacy, allowing the participant to find their own authentic way of engaging and participating in community because they want to and how they want to. This way we can help individuals realize how they want to connect with others—or not—and let them do so on their own terms. Studies(1) show that love-based, play-based, relationship-based interactions are an effective conduit for growing strengths, skills, and happiness. In our focus on helping autistic individuals build social skills and social capacity, we focus on the complete person, not just on discrete, isolated behaviors. Recent research(2) demonstrates that the inflexibility of social norms contributes to the ‘disabling’ aspects of the autistic experience. By increasing our acceptance of individual differences, we can improve the long-term outcomes of many autistic individuals. We share this information with those around us so that together we can create a more welcoming and accepting world in which everyone is included. (2) Sasson, N. J., & Morrison, K. E. (2017). First impressions of adults with autism improve with diagnostic disclosure and increased autism knowledge of peers. Autism, 1362361317729526. NOTE: The crass advertising/ads are mine. The substance of message is Game to Grow’s. I added the links to their game as a thank for all they’re doing to raise awareness about autism, a reality that is never fair from my mind and heart. Egg Embry wrote comic book short stories, edited comic book series, wrote and drew a webcomic, and contributed to comic book journalism across the 2000s. Now, he buys the opportunity to write for a variety of tabletop role-playing games in the tradition of vanity press. Tagged Critical Core, Game to Grow, Kickstarter, World Autism Awareness Day. « PRESS RELEASE – Lunar Games’ Tome of Spirits Kickstarter Coming Soon!